The leading all-in-one solution for creating, distributing and selling your print or eBook. All the tools you need to create, publish, manage, and sell your book all in one place. Create your own publishing imprint and manage your titles with ease. A white-label solution to grow your business, increase customer loyalty, create new revenue streams and drive real efficiency. You are never on your own with FastPencil. 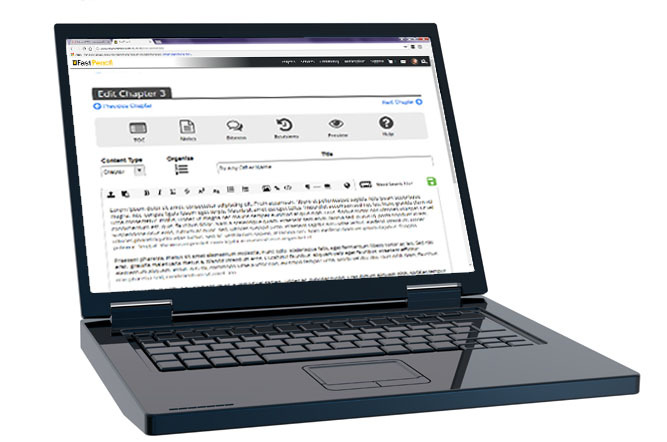 In the security of your online workspace you can easily write and format your book. Automatically convert your manuscript to the latest eBook format and effortlessly preview your selected page design! Need help with editing? Simply invite your editor or friends and family to work with you on your journey! Publishing your book to multiple formats has never been easier. Create a project from scratch or import your existing work to get started. Sell your books privately, in our marketplace, or worldwide. 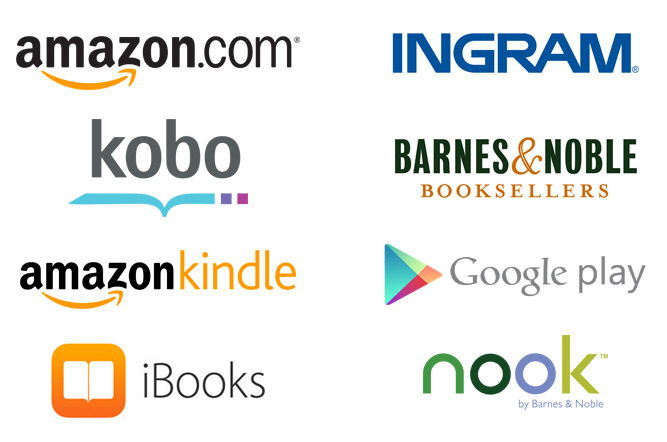 All eBook formats are created to work on the most popular eReaders and are ready for distribution to Amazon, Apple, Ingram, Kobo, and more! There is no inventory to buy and no files you need to deliver to distributors. 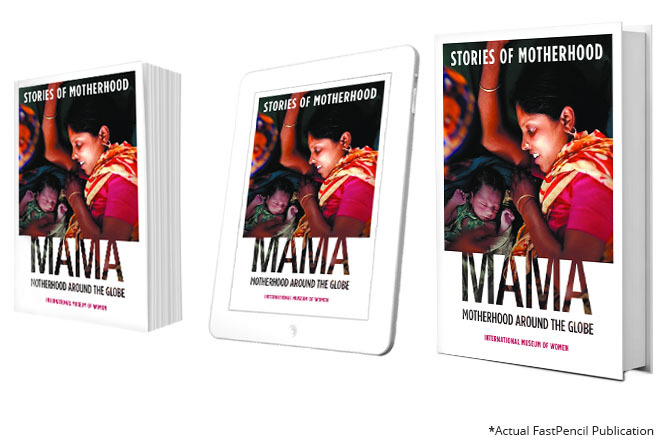 All globally published books — both print and eBook — get an ISBN included with distribution. Have your own ISBN(s)? — Not a problem. Adding them to your account for use on your books is easy. Promoting your book, tracking your sales, and calculating your royalties can be time consuming. Not any longer. Sales in the marketplace are reported as they happen and worldwide sales as the data is available. You’ll see more clearly which channel is bringing you the most sales and the royalty generated from it. 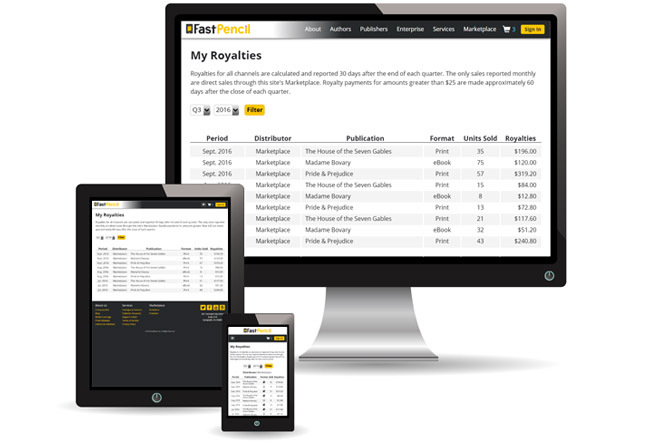 With this information you’ll be able to make the right choices to maximize your sales and royalties.